2018 vs 2019 Subaru Outback: What is the Difference? The Subaru Outback has been one of the most successful nameplates from the Japanese manufacturer. Debuted in 1989, the Subaru Outback comes in either a sedan or a station wagon. The new models come with a ton of features for anyone who is into outdoor adventure. Choosing between the 2018 and the 2019 variant can be a little bit challenging. You want to know the difference when it comes to aesthetics and performance and whether it is worth it paying extra for the latest model. Before we compare the two models, we need to look at the individual features. You can also visit Flatirons Subaru to better understand the two models. Flatirons Subaru serving Denver Longmont Boulder area. Subaru may call it an SUV but it is a station wagon with good ground clearance. It can be both your off-road companion and a cargo hauler. It features a 2.5-liter four-cylinder engine for the base model. The most noticeable feature has to be the overhaul in the bumper section of the vehicle. There is also a fresh revision of the grille and headlamps. There are limited models with upgraded wheel design which is meant to differentiate them from other station wagons in the vertical. It features the return of the electrically assisted power wheels. For a smoother and comfortable ride, the suspension has been tweaked a little bit compared to the previous model. According to Subaru, the continuous variable transmission is also quieter. You also get a quieter cabin because of the increased thickness in the rear wheel-liners. 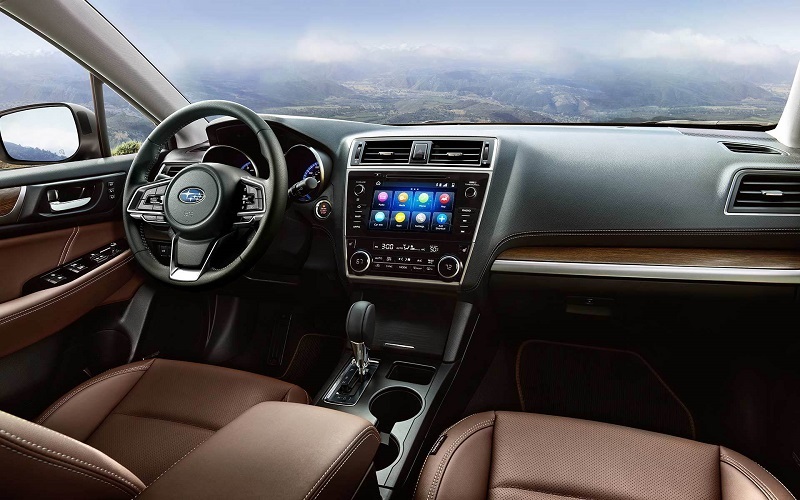 The interior of the 2018 Subaru Outback comes with a standard 6.2 to 6.5 infotainment system for the basic trim which supports both Android Auto and Apple Carplay. The adaptive headlamps that are included were not available in the previous model. The car offers a fantastic driving position even though it can't be described as an SUV. There is also the all-wheel drive that comes as standard and you can be assured of safety because of the stellar ratings. 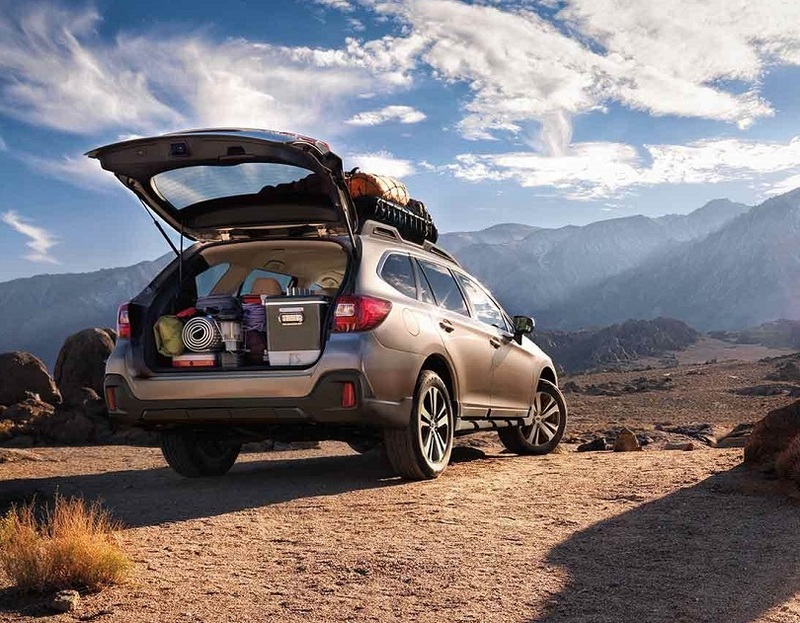 The 2019 Outback is the vehicle you want to be in when you're in the backcountry tackling muddy tracks and terrains. It comes with a standard 2.5-liter 4-cylinder engine which is able to produce 175-HP. There is the option of going for the pluckier 3.6-liter flat-six engine that can produce 256-HP. 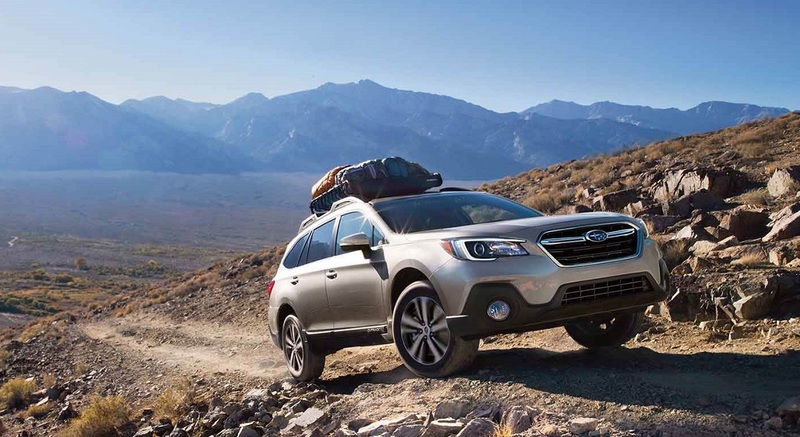 The 2019 Subaru Outback sets the difference between what you would refer to a crossover SUV and a passenger car. The 2019 version comes with a lot of new features. There is adaptive cruise control, active lane assist, and automatic emergency braking. It comes in 4 trims, base, premium, limited, and touring. All the trims feature CVT as standard. 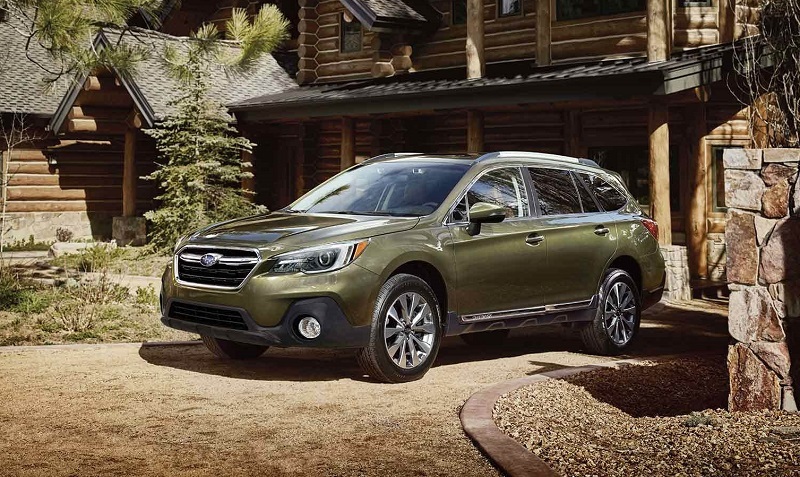 The Outback has an 8.7-inch ground clearance and standard all-wheel drive which makes off-road driving fun. The interior is roomy enough to accommodate five adults. When it comes to the dashboard, it features a 6.5-inch touch screen infotainment system which supports both Apple CarPlay and Android Auto. Premium and higher trims have an 8.0 touch screen which also comes with built-in navigation. Since they both have the Boxer powertrain, you can expect to have the standard 2.5 liters for the basic trims and the 3.6 for the higher trims. The higher trims can produce up to 256-HP. These two Subaru vehicles can support a maximum towing load of up to 2,700 pounds. The latest version features the Lineartronic Continuously Variable Transmission which comes standard in all the trims. The 8.0-inch infotainment unit is only available in the higher trims for both the cars. With the upgraded model, you also get the GPS Navigation which is incorporated in the STARLINK Multimedia system. You get the Pandora Internet Radio and iHeart Radio as well. Both the models come with Android Auto and Apple CarPlay as standard. NFC and Bluetooth provide additional wireless communication. Accent stitching is evident on the seats and the doors for both of the models. The 2019 model feels more premium when it comes to aesthetics. 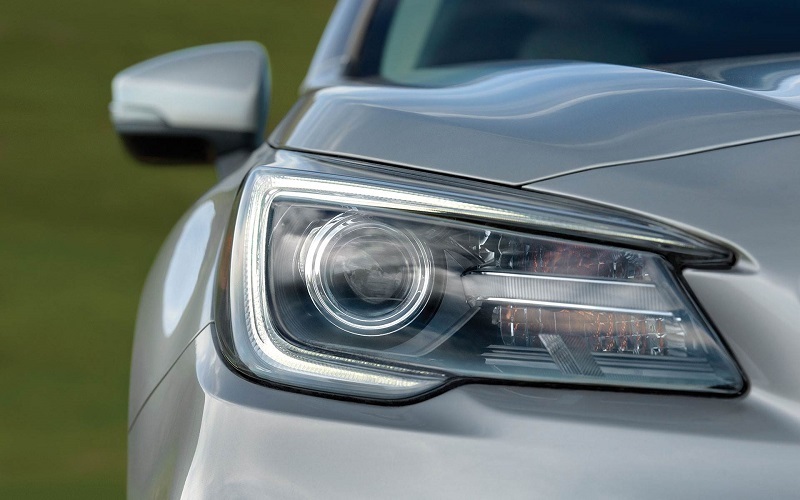 The 2019 version has an edge over the earlier model when it comes to safety. This is because of the inclusion of the EyeSight Driver Assist technology which is standard for the new model. This was an optional feature in the previous years and you can only get in the higher trims in the 2018 outback. The pre-collision breaking is also available in the 2019 version which will automatically brake to prevent accidents. The lane keep assist keeps the steering wheel in check whenever there is a high risk of side collision. Both the models offer reverse automatic breaking and there is an HD backup camera to help in parking in tight spaces. The new model has an improved exterior and certainly has a more comfortable interior compared to its predecessor. To get a better understanding of the differences on the two models, you can visit Flatirons Subaru serving Denver Longmont Boulder. Sometimes the only way you can know the real difference when looking at the 2019 Subaru Outback vs 2018 Subaru Outback is by going on a test drive.